This workbox was designed for Live It Productions International to house a printer and provide a charging station on the road. The case features a standout gray diamond plate exterior. 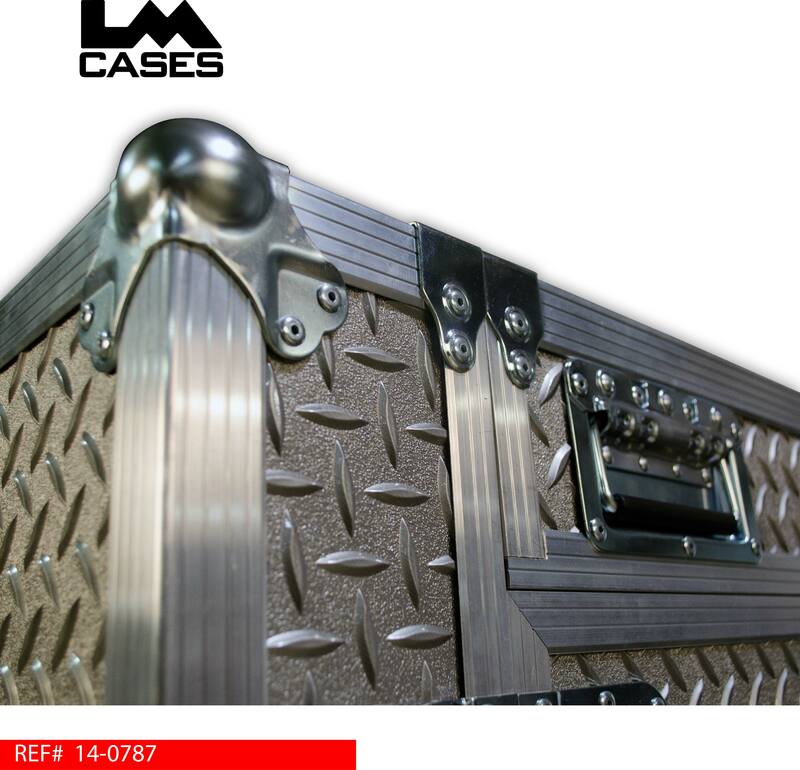 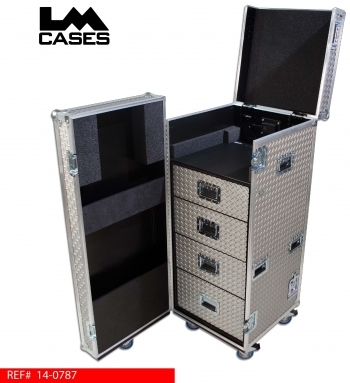 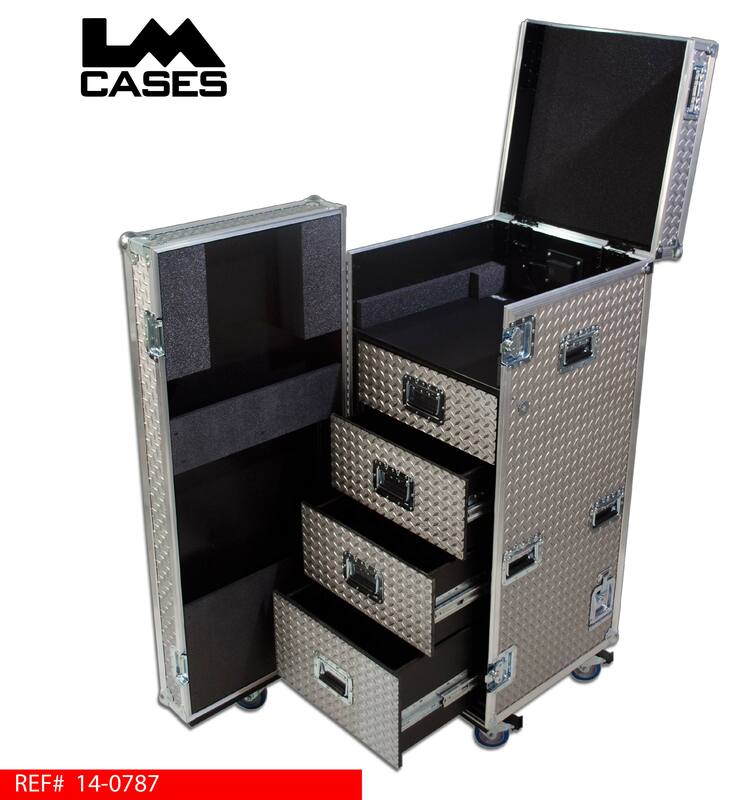 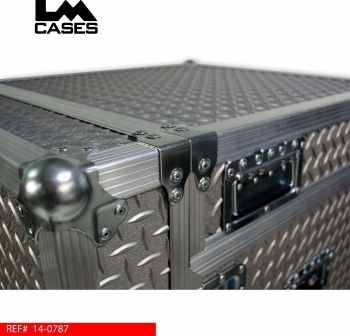 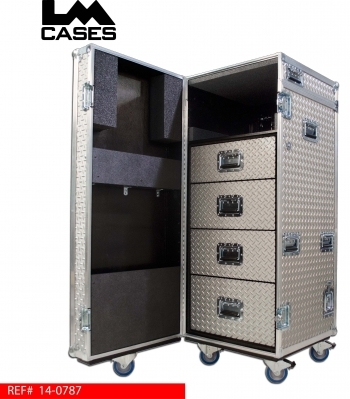 The case exterior is built out of 1/2" plywood laminated with diamond plate and features deep recessed hardware and Colson 4" Casters. 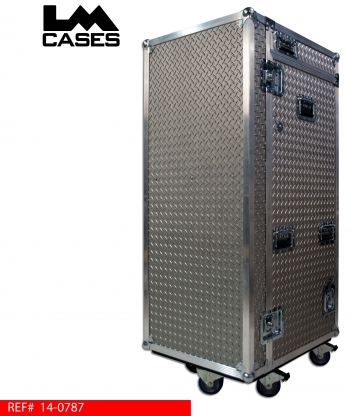 Special thanks to Live It Productions International!